Beatstation by Toontrack Music is a Virtual Instrument Audio Plugin. It functions as a VST Plugin, an Audio Units Plugin, an RTAS Plugin and an AAX Plugin. 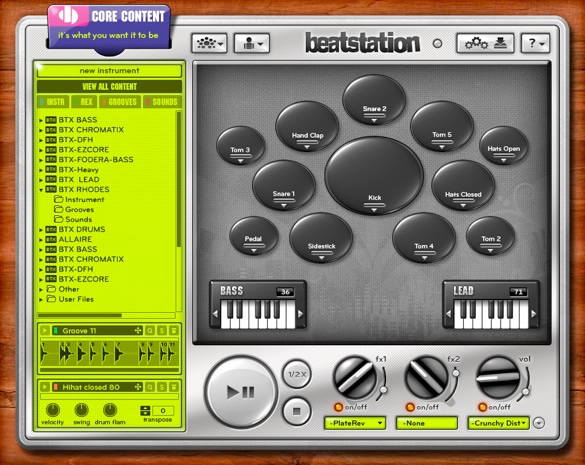 Beatstation plays Percussion Pads, Lead Instruments and Melodic Bass. 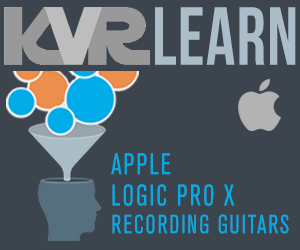 It uses a flexible and skinnable open playing surface, records samples, supports external samples, MIDI Grooves and REX Files. 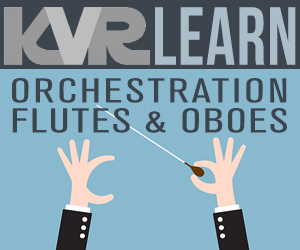 Beatstation harnesses the power of percussion samples and melodic instruments in one virtual instrument. Despite my rating of 8, Beatstation is the best drum sample player I've used, and I've used a bunch of them. Beatstation has tons more features than just drum sample playback, including bass and lead sections, and REX and MIDI file loading and playback. I recommend checking out the full feature list via Toontrack's website or online demos. If you use EZ Drummer or Superior Drummer, Beatstation is a no-brainer. Beatstation will load your samples and MIDI libraries from either of those products and their expansions. It will also load all your .wav samples that you have all over your hard drive. Sometimes when I want to layer sounds under an EZ Drummer part I've created, I'll copy the MIDI to a new track and load up Beatstation with samples I want to use to augment whatever kit I'm using in EZD. Even used by itself, layering of drum sounds is what Beatstation does best. You can have up to five samples per pad, each with its own volume, pan, pitch, and envelope. Just loading two samples to the same pad and playing with their envelopes allows me to use the attack from one drum and the body from another. Suddenly I'm a sound designer! Velocity can be toggled on and off per layer. The big hidden feature that I use most is the EZ Mix style effects. Each pad can have its own insert effect, but like I said, these are EZ Mix style effects, so its actually a chain of effects designed for your kick or snare or cymbals or percussion or whatever. There are also two fx sends and those effects are simpler, like just compression or just reverb or just flanger. You can send the whole pad (up to five layers) to the send fx, but each layer also has controls for the sends too. Between the envelopes and pitch control and all the available effects, it would be super easy to take 16 generic drum samples and make your own original drumkit. As for why I didn't rate this a ten, there are a couple of things that could use a little improvement and one thing that needs a huge improvement. The main thing is the appearance. Despite having many available skins, they all are garish or have graphics that can interfere with easy reading of the interface. As I once shared with a Toontrack employee (apparently to no avail) the skins look like 1990s Geocities web pages (anyone of a certain age will know what a slam that is!). While I love the envelopes, the little envelope window is so small that it is hard to grab the points with my mouse (and I use a big monitor). Lastly, I'd like to see the dropdown FX menus replaced with menus like their other products have. Beatstation is an amazing piece of software, and despite my criticisms, I prefer it to all the other programs of its kind that I have used. I gladly overlook its few shortcomings because they do not affect its functionality. I hope Toontrack give it a little TLC soon, because in my opinion the way it looks is the only thing keeping it from being as successful as it is good.